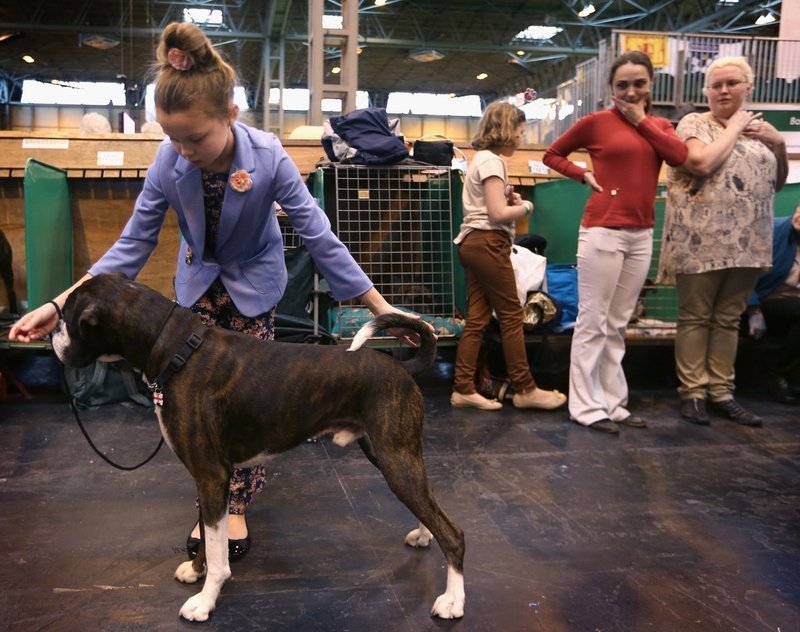 Tamsin Blyton, 9, from Nottingham with her boxer named Albert prepare to show during the final day at Crufts Dog Show on March 10, 2013 in Birmingham, England. During this year's four-day competition over 22,000 dogs and their owners will vie for a variety of accolades but ultimately seeking the coveted 'Best In Show'. - high-definition photo for free download.